Wedding, birthday, retirement. 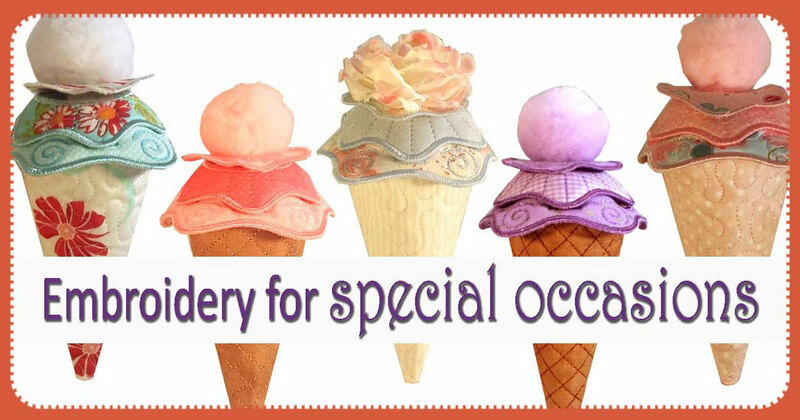 You can find an embroidery design for nearly every occasion. 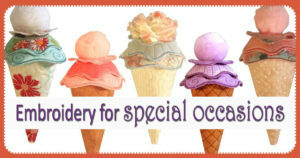 So let the celebrating begin with these fun projects for special occasions! 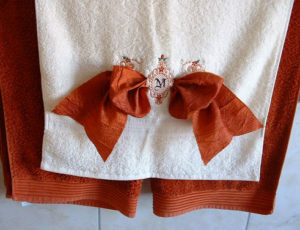 This design is so very pretty on a towel, and who wouldn’t like a pretty towel for their kitchen or guest bath? 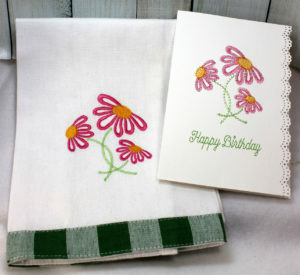 Stitches up quickly and there is a design included that you can use to embroider your own card! Getting married? Retiring? Celebrating an anniversary? Color coordinate your next special event in freestanding lace! 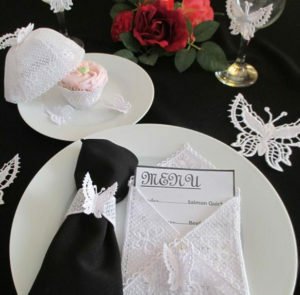 An envelope design is included to display a menu, enclose a thank you card, or even send out invitations to your party. These elegant designs are perfect for adorning towel sets, ring bearer pillows, special birthday or anniversary pillow covers, bed linens, or greeting cards. Plus, you can personalize them with initials or a monogram. 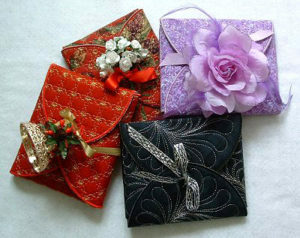 Choose elegant fabric for a wedding or anniversary or fun patterns for birthdays and graduations. Add flowers, trinkets, beads, and sequins to dress it up. Get it now for just $1 before they are gone for good! Choose from interchangeable headers for a unique way to keep all of your important celebrations on the radar. Both FCM and BMP files are included for the use of cutting machines or cut via traditional applique methods. With this freestanding applique alphabet, you can make congratulations banners for any occasion. Leave off the flowers and butterflies for boy names. Ananda’s also has banners with several sports themes, too. 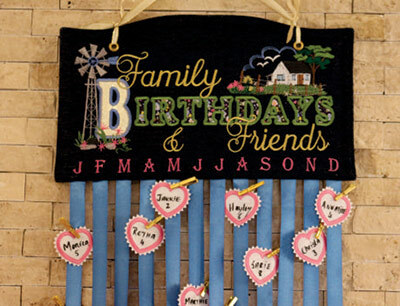 This adorable quilted sign can be used for years to come! Start a new tradition to recognize birthdays at home, school, and office. Next Next post: Why Use Interfacing with Applique?